Preserved cars of the Rotterdam system, including those exiled elsewhere. 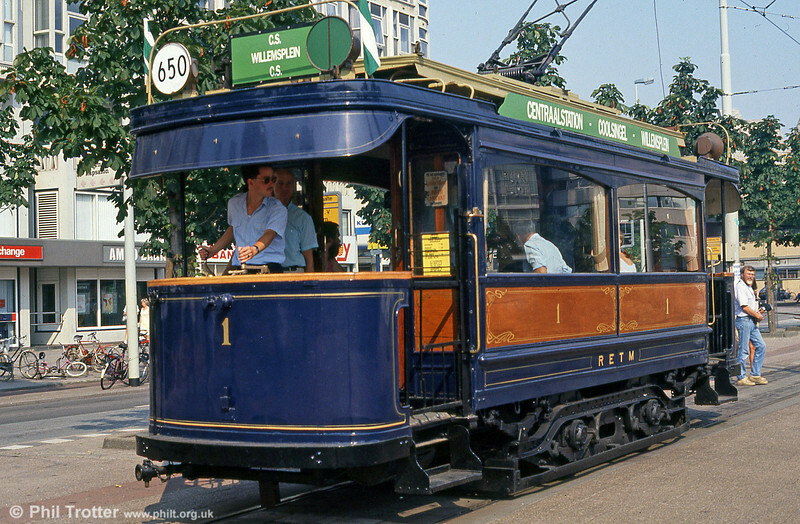 Rotterdam vintage car 1 at Centraal Station, 5th August 1990. The first 20 electric tramcars which came into use in 1905 were built by Métallurgique and after various rebuilds were to remain in srvice until 1931.